In hydroponic growing systems, plants are grown in a soil-less environment and receive all essential nutrients from a nutrient solution. These nutrient solutions are closely monitored for pH, EC/TDS, and specific nutrient concentrations; however, one parameter that is often overlooked is oxygen. Oxygen is essential for the development of a healthy root system, both for aerobic respiration of the roots and to support a community of beneficial aerobic bacteria in the root zone. Insufficient oxygen levels in the root zone will cause less developed roots, limited nutrient absorption, and an increased population of undesirable bacteria and fungi, all of which result in plant stress. 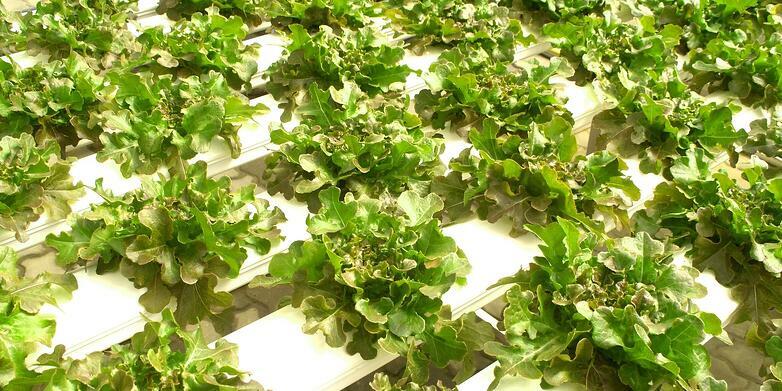 There are multiple types of hydroponic systems, but some of the most common include deep water culture, where the plant roots are submerged in a nutrient solution; aeroponics systems, where the plant roots grow in air and are misted with a nutrient solution; nutrient film technique, where the very ends of roots are in contact with a surface wetted with nutrient solution; and drip or passive irrigation systems, where the plant roots grow in an inert media such as cocoa peat, rockwool, or perlite, and nutrient solution slowly drips through. In systems where the roots are submerged, aeration of the nutrient solution is essential to ensure healthy root development. Dissolved oxygen (DO) levels of 5 mg/L and above are recommended, as levels below this are detrimental and possibly fatal to plants. However, a DO concentration of 5 mg/L is difficult to maintain in greenhouse environments. As the temperature of water increases, the solubility of oxygen decreases. The elevated temperatures in greenhouses result in low DO solubility, as well as higher root respiration and oxygen consumption. DO concentrations greater than 5 mg/L can be maintained by aeration. Aeration can be achieved by the use of air pumps and oxygen diffusers, additions of chemicals such as hydrogen peroxide or ozone, or physically by rapid mixing. 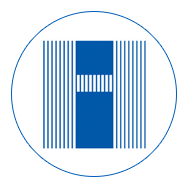 A nursery contacted Hanna Instruments for a way to monitor dissolved oxygen in their irrigation water. The nursery was utilizing a combination of both soil-based growing methods and passive irrigation hydroponic systems and wanted a way to measure DO in their reservoir tank as well as their hydroponic nutrient solution at various points throughout the greenhouse. The customer was supersaturating their irrigation water to 10 mg/L DO with an air pump and air stone. This was to ensure that levels would be maintained at 5 mg/L or above once the nutrients were added and the nutrient solution was trickled through the greenhouse. 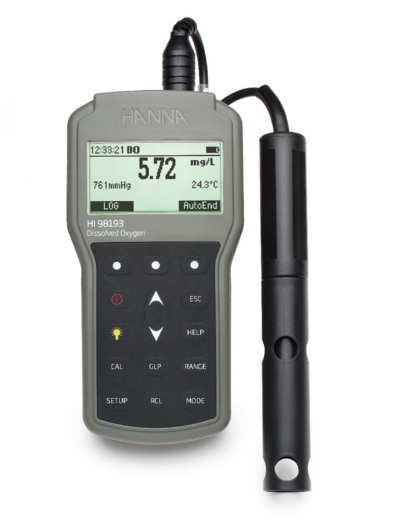 Hanna offered the Waterproof Portable Dissolved Oxygen and BOD Meter - HI98193, a rugged, portable dissolved oxygen (DO) meter designed for demanding applications. This professional, waterproof meter complies with IP67 standards and measures DO, barometric pressure, BOD and temperature. The HI98193 is supplied complete with all accessories to perform a DO measurement packaged into a durable carrying case. The temperature component on the DO sensor allows for automatic temperature compensation in DO measurements, resulting in more accurate readings. Altitude and salinity compensation can also be enabled by simply entering both the barometric pressure and salinity into the meter menu. The customer appreciated that the preformed DO membranes made refreshing the electrolyte and membrane replacement extremely easy. Overall, the HI98193 was a perfect fit for the nursery’s DO testing needs.